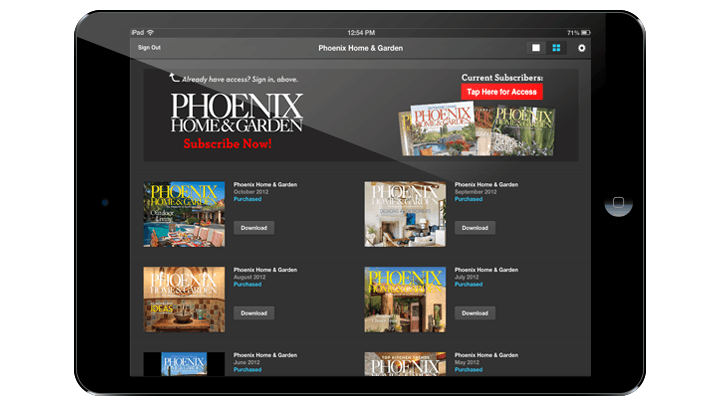 DPCI helps Cities West Publishing launch the Phoenix Home & Garden Magazine app using the Adobe Digital Publishing Suite Enterprise Edition. 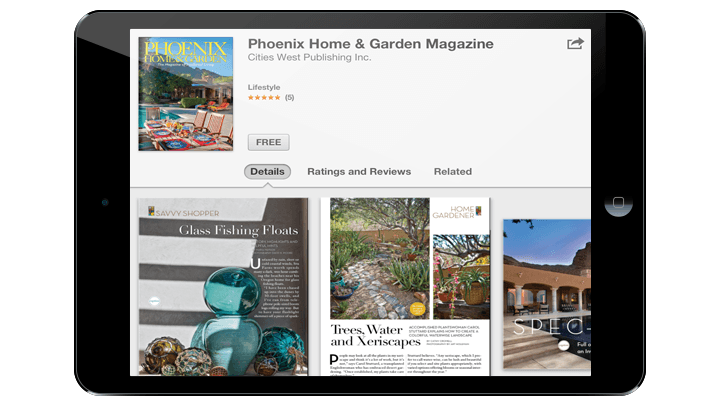 DPCI helps Cities West Publishing's Phoenix Home & Garden Magazine app rise to the top of the McPheters & Company State of the App 2012 list of Best Consumer Publication and News-Related Apps for iPad. Cities West Publishing publishes Arizona's only two paid and audited regional magazines: PHOENIX magazine, the city magazine for the Valley, and Phoenix Home & Garden the premier regional magazine for Southwest living. With a 30 year history, Phoenix Home & Garden is the go-to guide for ideas and design inspiration for desert homes. 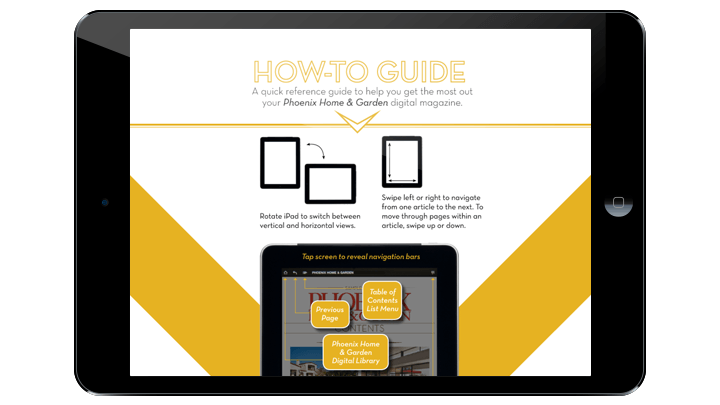 With the recent demand for digital content, executive management at Cities West Publishing felt an urgency to start off 2012 with a spin on its popular Phoenix Home & Garden magazine. 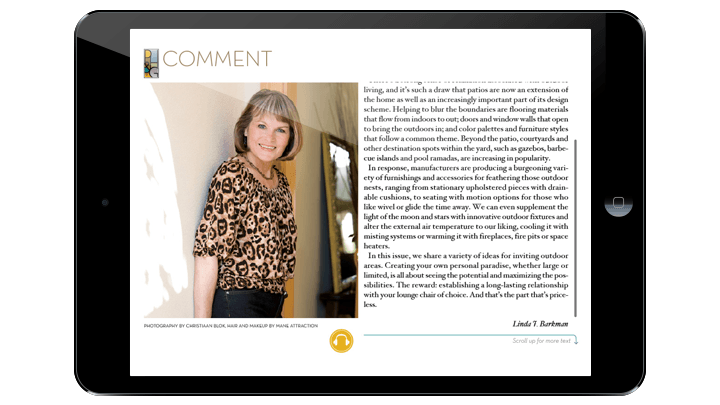 To reach a broader audience, Cities West Publishing required a digital subscription presence on the Apple iOS Newsstand and looked to also offer a free incentive for downloading digital content to current print subscribers. Migrating print content to digital format was just the beginning of this transition. 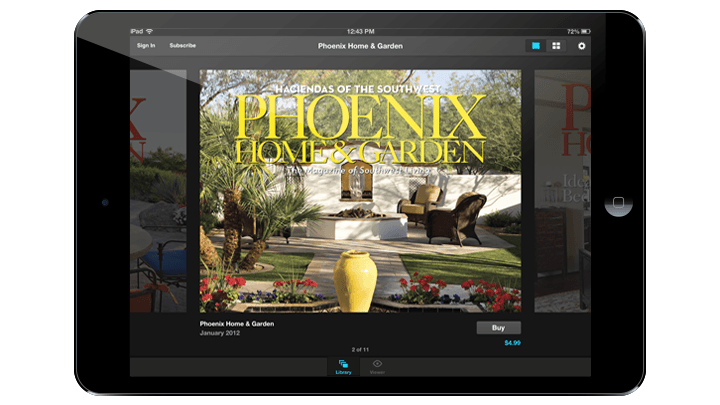 In order to have Phoenix Home & Garden available for the iOS Newsstand by January 2012, the publisher needed to prepare all content for submission two weeks prior to the anticipated rollout date. Additionally, integration with the company’s fulfillment server hosted by CDS Global was required to offer the digital content to the current print subscriber base. After an in-depth analysis of the various digital publishing solutions available it was determined by Cities West Publishing that the Adobe Digital Publishing Suite Enterprise Edition was the best platform to address the company’s needs. Cities West Publishing, like many publishers, followed a workflow designed for publishing to traditional print format. With less than one month available for implementation of a tablet solution, it was imperative for the company to find a partner to help implement an efficient workflow for delivery of content in digital format. Adobe referred Cities West Publishing to DPCI to implement the Adobe Digital Publishing Suite Enterprise Edition and help the company address its digital publishing workflow needs. To make the most of the limited time available, DPCI and Cities West Publishing worked together to prioritize the necessary tasks for implementation of the Adobe Digital Publishing Suite and the Apple iPad app approval process. First, DPCI assisted Cities West Publishing with the creation of Apple certificates and quality assurance of the assets for bundling into the app. Next, DPCI worked with CDS Global to obtain all of the subscriber database information required to fulfill the print subscriber entitlement offered with the Adobe Digital Publishing Suite Enterprise Edition. This included authentication URLs, integrator identification number, and product identification numbers for each subsequent digital magazine issue. 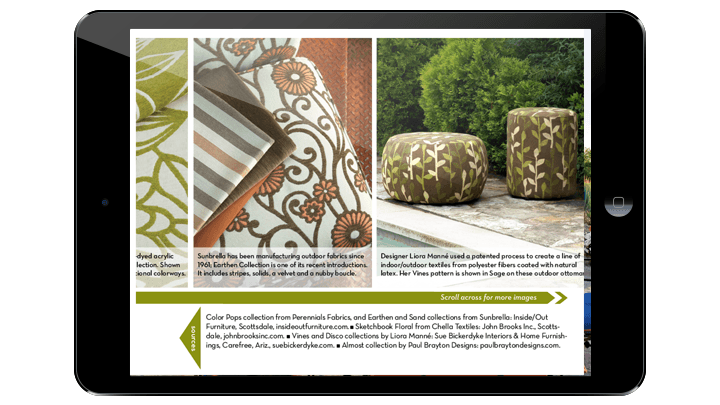 DPCI then designed the fulfillment banners and instructions page for the Phoenix Home & Garden’s viewer app. As a final step before submission, DPCI tested the app paying close attention to overall functionality and appearance while calling out errors and fixes where applicable. 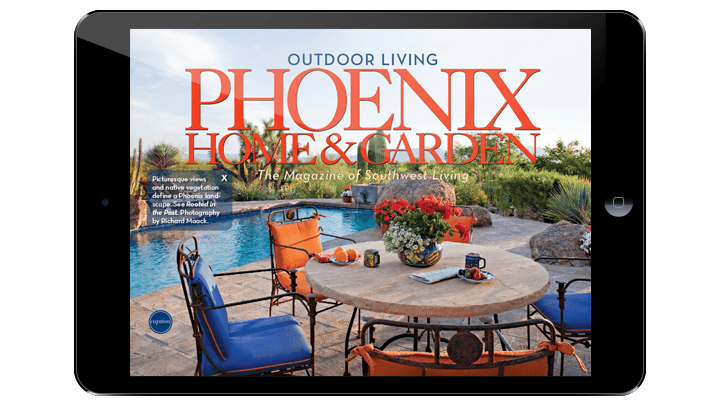 After two weeks of rigorous effort, Cities West Publishing announced the official rollout of the Phoenix Home & Garden Magazine app for the January issue on the iPad created with the Adobe Digital Publishing Suite. Within the short amount of time, DPCI met the anticipated rollout date, implemented an iOS Newsstand subscription app and provided an efficient workflow to enable the production of future publications. In the coming months, DPCI will help Cities West Publishing expand upon its digital offering by using the Adobe Digital Publishing Suite Enterprise Edition to implement fully customized storefront. Following DPCI's proven methodology of careful requirements gathering, process and resource evaluation, and analysis, DPCI helped us transform the publishing infrastructure.